What comes to mind when you read the title? Lemons pickles? Lemonade? Lemon rice? Lemon pie? Lemon marmalade? These are just a few things I could think of. Lemons are the richest source of Vitamin C. Apart from that; it is also high in Vitamin B, riboflavin and minerals like calcium, phosphorous, magnesium as well as proteins and carbohydrates. Lemon is a fruit that contains flavonoid, a composite that holds antioxidant and anti-cancer properties. It helps to prevent diabetes, constipation, high blood pressure, and is used in skin care, hair care, dental care, indigestion and is used to relieve many other health problems. Known for its therapeutic property since generations, lemon helps to strengthen your immunity system and cleanses your stomach. It is not only a blood purifier but also enables body to fight diseases. Lemon juice, especially, has several health benefits associated with it. It is useful for treating kidney stones, curing heart strokes and reducing the body temperature. Lemon provides human guard against inflammatory polyarthritis and arthritis. I am sure all this nutritional information is enough motivation for you to keep those few lemons at hand always. We can move on to the best part of the article; time to tickle your taste buds. If you are an avid tea drinker, and would like your morning cuppa with some zest in it, lemon tea is the best. Whipping up lemon rice is the easiest dish which can be used as a breakfast and even as a lunch. Not many rice items can be used for both meals of the day. Check out the recipe here. 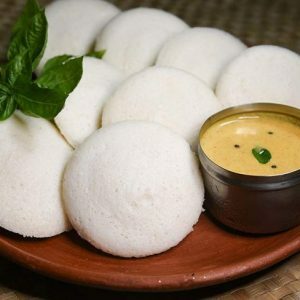 For people who do not prefer rice for breakfast, check out lemon sevai’s recipe here. And for kids like mine who are picky eaters and who try everything with their moms to skip breakfast, try lemon noodles. You will never have a kid who skipped breakfast. If you love ethnic South Indian lunch, you cannot have enough of lemon rasam with tomatoes floating in it. At mid day, a glass of chilled lemon lassi would do wonders by chilling your heated body and calming your mind. Try a slice of lemon soufflé to go with your usual evening snacks. It would taste heavenly. This could also be chilled and served as dessert on Valentine’s night. Lemon pickles can be used as side dish for almost anything from chapathis, curd rice, bajjis and for tangy lovers like me, eaten from the jar just like that. There is a variation in its preparation here. I personally tried the second recipe and loved it. The ancient Indians and Irish thought Lemon barley water made one strong. Today people think it is a refreshing and tasty drink. You could squeeze half a lemon’s juice in most of the cooked vegetables. It is a great nourishment. A way to a man’s heart is through his stomach, but sometimes, just a filled tummy is not sufficient. 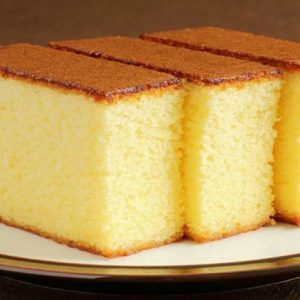 Should I ask you to try exotic but simple to prepare desserts like Chilled Lemon pie, Lemon cake, Lemon sponge cake? Did someone say, keep the best for the last? Well, I do not know your best, so better than the best goes here. Check out all the lemon recipes from your favourite site here. And now do you still have some lemons at hand? Need to remove that tan from yesterday’s shopping spree? Rub it all over on your skin. And then rub it on your feet and see your feet glow. Apply half a lemon’s juice to unclog those pores from your face. Rinse your shampooed hair with the juice of two lemons to get that shiny glow without a chop purchased conditioner. 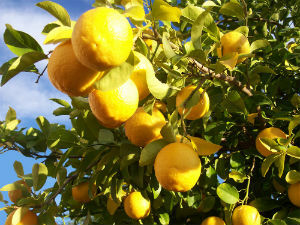 Feel free to comment or share your thoughts on this "All about the Wonder Fruit – Lemon" article from Awesome Cuisine.